I will let you know that Jeff Guinn is a very good writer/author. I have a book on Bonnie and Clyde that he wrote. It's awesome. 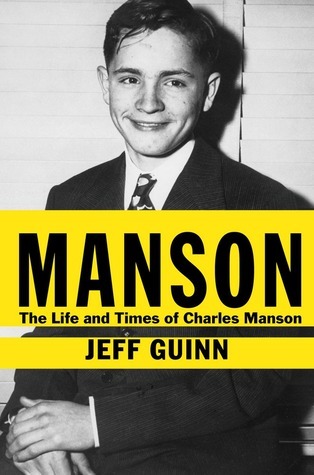 "A striking, full-length portrait of one of American history’s most notorious sociopaths. . . . Guinn takes readers on a head-spinning ride through Manson’s deeply disturbed childhood, his criminal career and his brief tenure as satanic guru to the damaged disciples, mostly women, he held in thrall. . . . A compulsively readable account of a murderer who continues to fascinate." Jeff Guinn is the bestselling author of several books of fiction and nonfiction, including The Last Gunfight and Go Down Together, which was a finalist for an Edgar Award in 2010. Formerly an award-winning investigative journalist and now a frequent guest on national radio and TV programs, he lives in Fort Worth, Texas. GrumpFromPahrump mentioned Bonnie and Clyde. I talked briefly with a relative of Blanche Barrow on her YouTube channel a couple of years ago. Blanche lived until 1988, her relative maintains a website about Blanche Barrow and some of her activities with Bonnie and Clyde, Blanche Barrow was Clyde's brothers wife. If anyone is interested and hasn't seen it, it can be found HERE. Guinn's book The Last Gunfight is also an excellent read. A new take on the Gunfight at the OK Corral.....kinda shoots the Earp Brothers out of the saddle a little bit. I still say it is going to be fascinating to see if this book cracks the best sellers list or if book buyers say to themselves - nah, this subject has been done to death, nothing new here. I too enjoyed Guinn's previous books but I fear his straight-forward 'cause and effect' analysis might not serve him well with the twisted tale of TLB. I have always believed in order to fully understand certain phenomonon you have to experience the basic ingredients. I honestly feel LSD played such a key role in the evolution of The Family that unless Guinn did a few trips himself at some point in his youth it would be really difficult for him to interpret Family life. Not impossible obviously, but difficult. Anyways, most of the reviews I have read had been sophmoric recaps of the TLB tale more than comments on the book. The media, if not the public, still loves em some Charlie. I'm gonna go out on a limb and say the book peaks at 27 on the USA Today best seller list. Just a gut guess. I saw Jeff Guinn on TV last night on a show about Bonnie and Clyde. 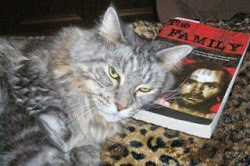 Then, today he was on "Inside Edition" talking about his new "Manson" book.